H&R BLOCK has grown exponentially since starting business in 1971. Now with more than 700,000 customers, H&R Block is regarded as Australia’s leading income tax services company for consumers and small businesses. 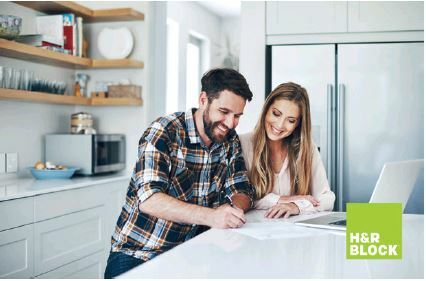 With three simple ways to lodge a tax return, be it in one of the 450 offices newly fitted out around the country, or online using its DIY Tax Return program or Tax Pro service, clients can be assured they will be looked after by a H&R Block tax professional. Every return is double-checked to ensure accuracy and secure all the offsets and deductions to which the customer is entitled. H&R Block realise that it is not always convenient for clients to contact them between nine to five, that’s why they step up and, during tax time, work outside business hours on weekdays and weekends to find a time most suitable for clients. Other services provided by H&R Block include bookkeeping, self-managed super fund solutions, financial planning, the country’s leading income tax course, as well as free online tax tools and tax tips. Staff are provided with expert training to ensure customers remain in very good hands. Testament to its success is H&R Block’s high staff retention rate and the long-term loyalty of its customers.